Read Episode 4, Part 1 here. At that point, Herman Cain began to sing a baritone version of "Let's Get It On." 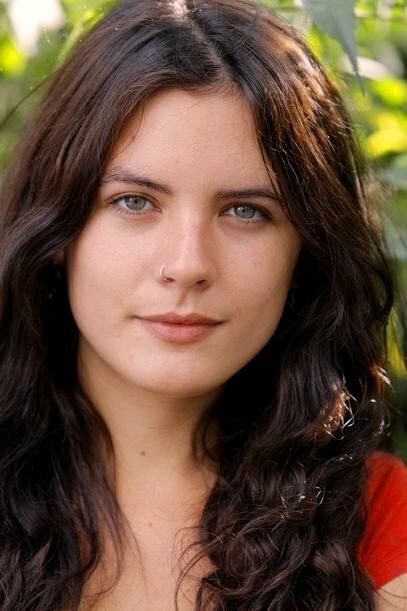 Each of Herman Cain's notes tickled my libido as I stared at the photo of Camila Vallejo. Inspiration bit me like an African mosquito. I became woozy and began to write. The romance poured out of my pen as I dreamed of a world where the beautiful Chilean communist leader and myself were forever joined as one. Herman Cain, who was helping me write a romantic poem to my beloved Camila in order to enhance our relationship, read my poem off of the pizza box. He smirked and winked at me. "This is it." I won't die of thirst, for every drop of you is stored in my heart. "This poem would do the trick if she primarily speaks English. But remember David, Camila speaks Spanish. There is a wall separating Camila from your expression of love. So, we must tear down that wall by using Google translate to turn it into Spanish." My delight in having crafted a poem that I felt accurately expressed my love for Camila diminished. I fretted this confrontation. "But Mr. Cain, using Google translate might not give us the best translation." "Do you have a better suggestion, niggahead? Do you want to ask one of your Spanish-speaking friends to translate this poem for Camila." "No," I answered meekly. I showcased a defeated look. "That is what I thought. Since no one else has a plan, I propose we implement my plan of using Google translate in order to turn your poem into Spanish and share it will Camila Vallejo." We left my room and found a computer in order to google "Google translate." I wrote down the Spanish translation on a piece of paper, put it in an envelope, and mailed it to Camila. Three days later, she received the poem. She opened the envelope and began to read. No voy a morir de sed, por cada gota de que se almacena en mi corazón. Camila came over that night. I opened the door covered in anticipation and there was Camila. "David, I got this poem from you. It makes no sense. Are you insulting the Spanish language with this?" My heart and stomach traded places. "No, well, Herman Cain, but, I didn't think, I mean, I know it is..." Camila glided closer to me and kissed me on my left cheek leaving it with a hint of moisture. "Say no more my love. Where is the English version of the poem?" I fetched the English version and handed it to her. She eyed it and then clutched it to her chest. She pressed her lips gently against mine. We then made love in the foyer. I called Herman Cain and told him what happened. He was on a bus tour of Tennessee for some reason. "Excellent," was all he had time to say. I woke up. Sweat congregated around my forehead. Herman Cain had gained legitimacy in his run for the White House. Camila Vallejo was in Chile and had no inkling of my existence. I decided to return to my slumber and clutched my pillow. Underneath it was a piece of paper. The paper wore a poem written in beautiful foreign cursive. I read its title in bewilderment. The title read David.